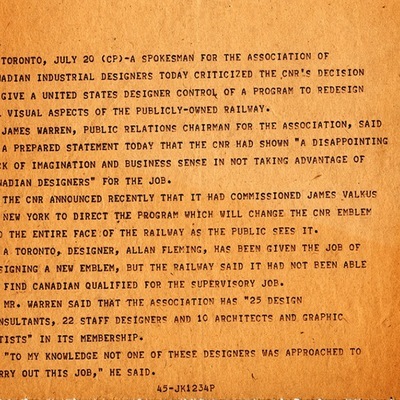 Item consists of a reproduction of a press release in which the Association of Canadian Industrial Designers criticizes CN for choosing an American firm to develop its new logo. 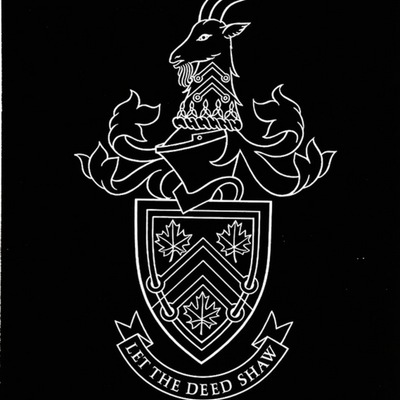 Item consists of a black, red and gold rendering of one of several proposed armorial bearings for Massey College. 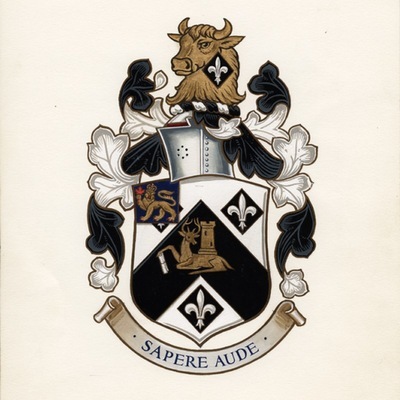 Item consists of finalized copy of coat of arms for Sir Sandford Fleming College, by Allan Robb Fleming. 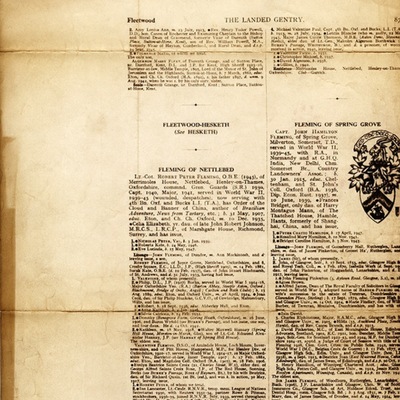 Item consists of a one page excerpt about the landed gentry used by Allan Robb Fleming when creating the coat of arms for Sandford Fleming College. 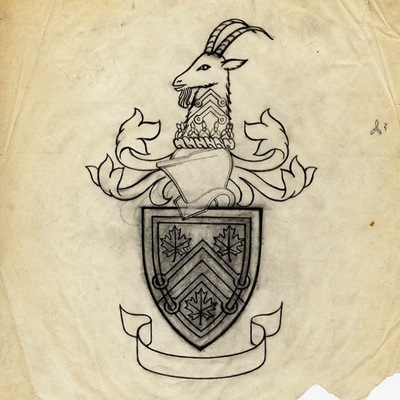 Item consists of a finalized sketch of the coat of arms for Sir Sandford Fleming College on parchment paper, by Allan Robb Fleming. 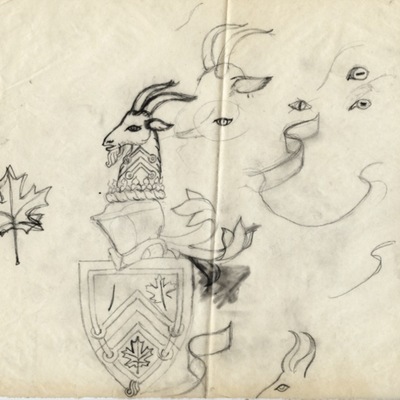 Item consists of a preliminary sketches on parchment paper for the coat of arms for Sir Sandford Fleming College, by Allan Robb Fleming. 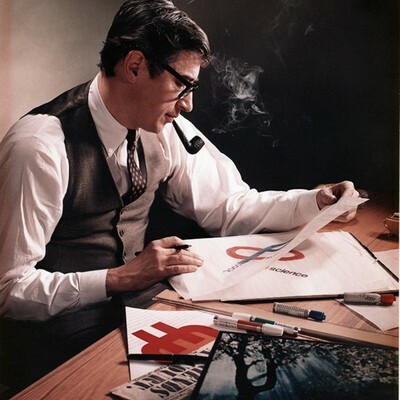 Item consists of a colour photograph of Allan Robb Fleming at a drafting table with a pencil and some sketches of logos in his hand, and smoking a pipe. 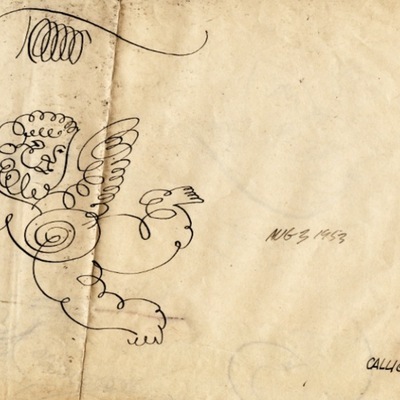 Item consists of a sketch by Allan Rob Fleming of an angel done with an ink pen. 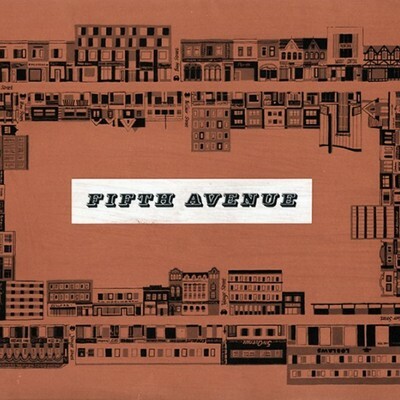 Item consists of place-mat designed by Allan Robb Fleming for the Fifth Avenue restaurant on Bloor St. West, owned by Fleming's close friend Steve Barootes. 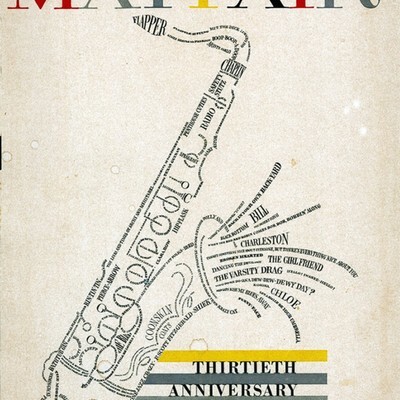 Item consists of the cover of Mayfair Magazine, designed by Allan Fleming for an anniversary issue. 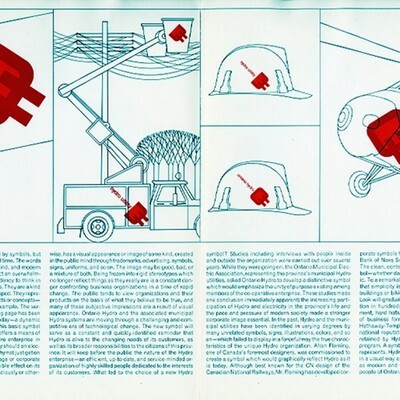 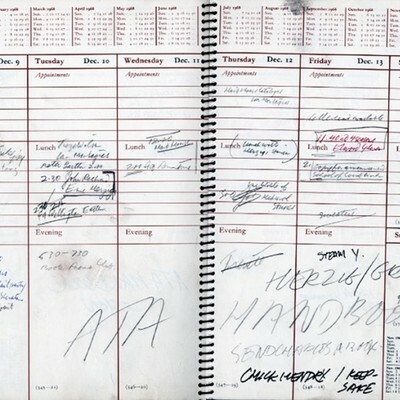 Item consists of a double page spread from Allan Robb Fleming's MacLaren Advertising issued diary of 1968. 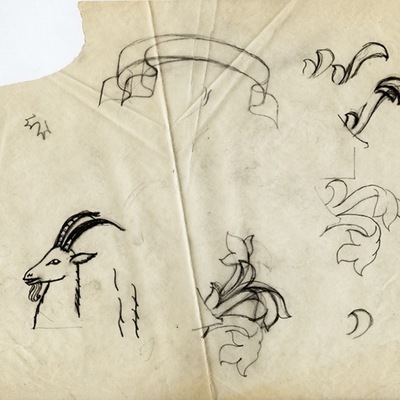 Item consists of a job docket envelope for the CN logo redesign work at Cooper and Beatty. 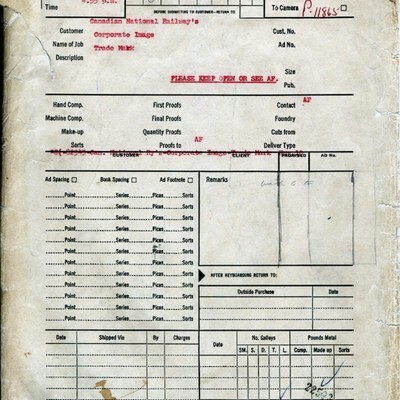 Item consists of a 1957 Report and Accounts for Hudson's Bay Company designed by Allan Robb Fleming at Cooper and Beatty. 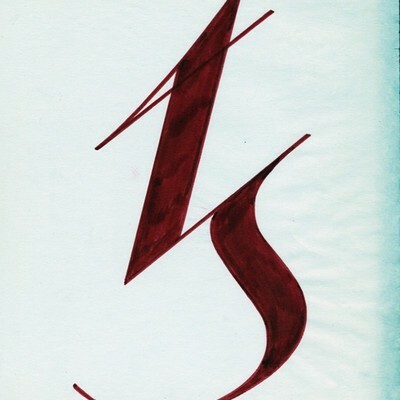 Item consists of a drawing of the Toronto Symphony Orchestra logo by Allan Robb Fleming on paper in red ink. 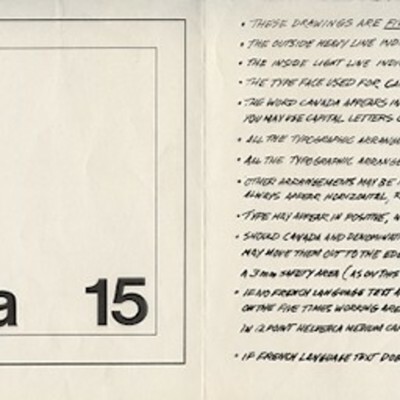 Item consists of a two colour launch document displaying the new Ontario Hydro logo, written and designed by Allan Fleming. 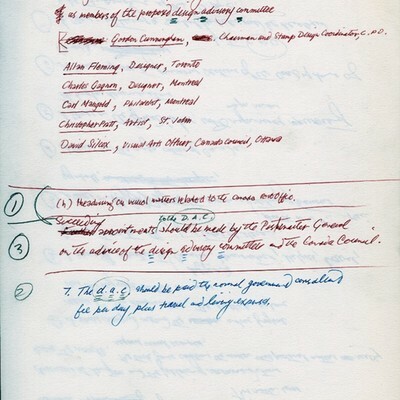 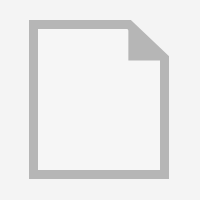 Item consists of four typescript pages from the design department of Cooper and Beatty listing Allan Fleming, Jim Donoahue and others, as well as all corporate clients, and highlighting corporate logo work. 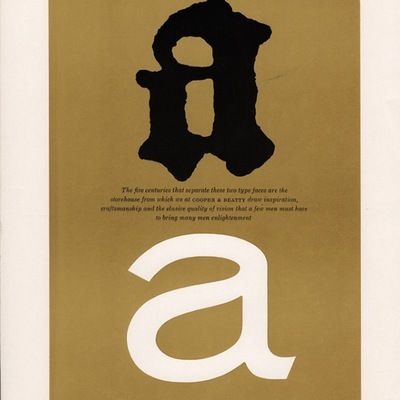 Item consists of a magazine advertisement designed by Allan Robb Fleming for Cooper and Beatty type craftsmen.